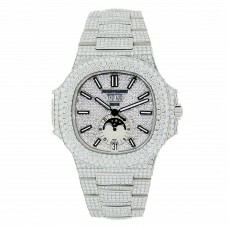 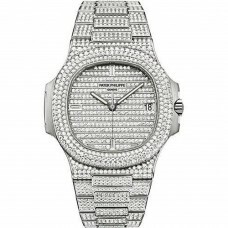 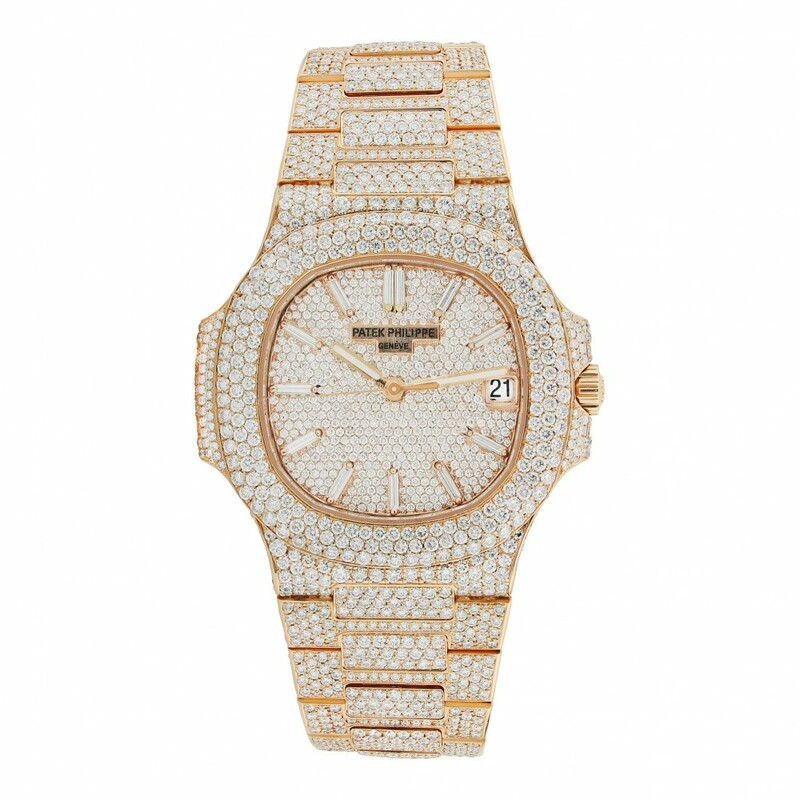 The Patek Philippe Nautilus 5711/1R-001 Men's 40MM Watch features breathtaking quality's. 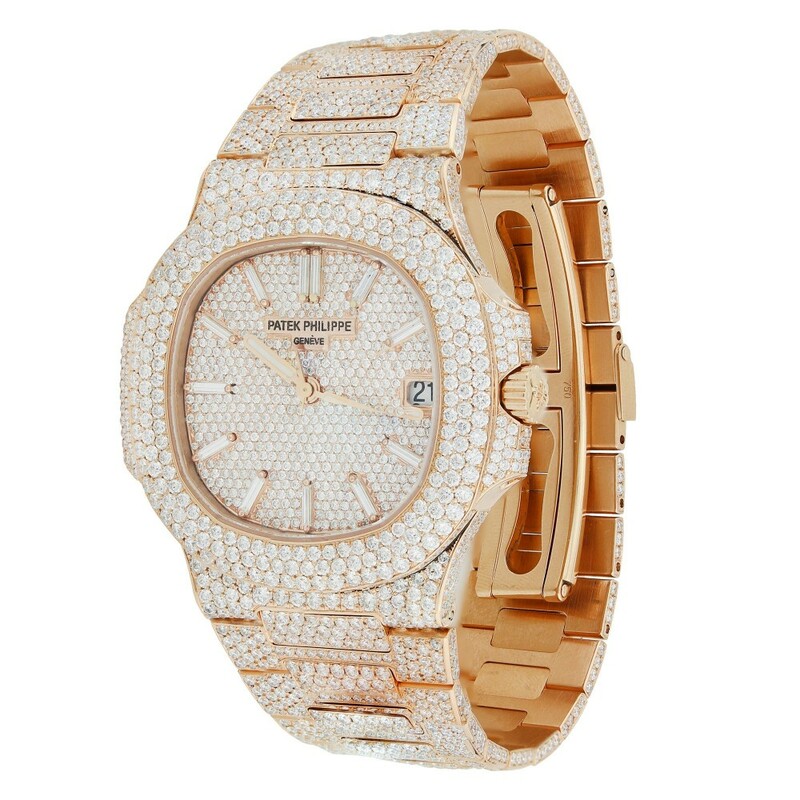 The watch showcases Automatic movement, 18K Rose Gold Bracelet, Diamond Rose Gold Bezel, Diamond Dial with Index Markers, and is fully iced out with high quality diamonds. 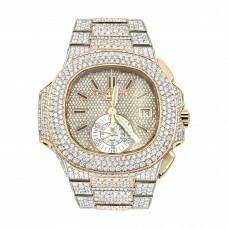 The watch also comes with 1 year warranty with madina jewelry.